If you have to rely on your readers' patience while you get the story set up, you're likely to lose most of them. Start where the protagonist's problem starts, or just before that, and feed in the backstory later. This is the MTV era-- people don't like to wait. Be especially wary of books that start with the protagonist on a journey, thinking about what awaits her at the destination. Editors frequently mention that as an example of a boring opening. It helps to decide what your major story questions are and make sure those are posed in the first few chapters-- at least one should be posed in Chapter One. The middle has to do more than just fill up the space between beginning and end. It should be a time of "rising conflict" where the protagonist is tested up to (and perhaps beyond) the limits of his ability-- a time to develop the internal and external conflicts and show how they influence the protagonist's actions. It should set up the great crisis/climax/resolution that will bring the novel to a close. So when you're starting the middle, think of how the protagonist can be challenged. What external plot events can make his internal conflict impossible to ignore any longer? How can that internal conflict impede his/her progress towards the goal? If there's an antagonist, how does the antagonist's reaction affect the protagonist's progress? Every person with a story journey (described progress towards a significant change in their life) dilutes the impact of the major characters' journey. In some books (family sagas, for example), this can work. But in most protagonist-centered popular fiction, tracking the secondary characters' lives and loves is going to waste time and confuse the reader. Watch out for long passages in a secondary character's viewpoint which dwell on his problems and not on the protagonist. 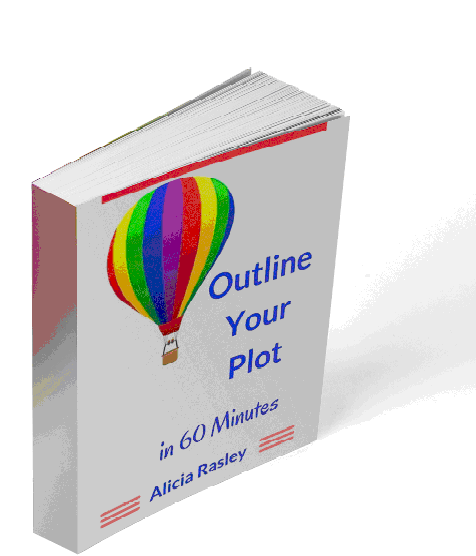 And keep count of how many subplots you've got-- make sure each one supports the main plot in some way. Pacing is primarily a function of how many cause-effect related events happen in the book. But that doesn't mean that effective pacing depends on shoving a lot of events into the story. Selection is key. What supporting events are needed to set up those essential events (aka "turning points")? Are all the events of the plot related causally-- that is, does the discovery of the letter in chapter 2 set up the release of the imprisoned protagonist in Chapter 4, and eventually the capture of the villain in the climax? Make sure every scene has at least one event that affects the main plot-- that way the readers can't skip without missing something important. Problem #4: What a Coincidence! Coincidence is fun in real life. But it's death to good fiction. Fiction is about cause and effect, and there's no cause and effect when the central elements of your plot happen by coincidence. It's often hard, however, to identify coincidence in your own story, so be ruthless. Look at the chain of events. Which would be unlikely to happen unless you the author made it happen? How likely is it that in a city of 7 million, your judge protagonist would just happen to get the embezzling case of the man she thinks was responsible for the hit-and-run killing of her mother? Not very. To fix coincidence without losing the event, make it happen because of character decision and action, and watch your characters grow into strength and purpose. That judge doesn't just happen to get the case; she seeks it, determined to avenge her mother's death. Now that's a lot more fun than coincidence, because the conflict is now not just an accident, but the result of this character's need for vengeance over justice. Conflict is the fuel that powers the plot and forces the characters into action. Without it you might have a nice slice of life portrait, or a great character sketch... but you don't really have a story. Problem is, conflict is volatile, and many of us avoid it in our plotting as we avoid it in our lives. But just as children need discipline to grow, characters need adversity to change. And fiction is, at base, about change. Popular fiction is usually about change in the protagonist. No one changes without a good reason to change-- that's where conflict comes in. Quite simply, you have an authorial duty to provide conflict for your characters so that they will learn to change-- and that means determining how they need to change. Linking conflict to character change will revitalize your story, and avoid the problems of serial conflict (where what looks like the book conflict wraps up in Chapter 3, to be replaced by another conflict) and incoherent conflict (where the conflict has nothing to do with who this character is or what she needs). Many a good story is sunk by a weak structure: a hidden protagonist (the readers can't tell early whose story this is), meandering setups, misrepresented conflict, rushed climaxes, incoherence between the protagonist and the plot (the main character doesn't have much to do with the main plot, or this person would never do what the plot requires him to do). Much of this derives from a misunderstanding of the purpose of structure. It's not a prison, chaining you to a "formula", it's a map to help you and your readers explore the issues you're developing with this story. Learning structure can teach you when to modify it and when to branch out on your own. Problem #1: Whose Story Is This, Anyway? The Plight of the Protagonist: The biggest single plot problem I see in my judging, editing, and critiquing is actually a character problem: the passive or under-motivated protagonist-- that is, a protagonist who is not truly involved in causing the plot to unfold. Beware of the victim-protagonist (bad things happen to him, and he suffers a lot), the passive protagonist (he witnesses the plot events, but he doesn't participate), the bumbling protagonist (he acts, but stupidly, without learning from his mistakes). The central character doesn't have to be likeable (though it helps) or (god forbid) without faults, but he does have to be motivated enough to act and encounter obstacles and change in response to plot events. Ideally, the protagonist should be involved in nearly every event, and his decisions and actions should drive the plot.You might make a list of all the major plot events, and beside each note the protagonist's contribution. Does each action have some effect on the plot? And finally, does each action-event dynamic contribute to an ultimate change in the protagonist?